We know what it's like to be expecting a baby but not knowing exactly what to expect. Once a month our studio opens up, at no charge, to beautiful expecting parents like you! Meet our wonderful team and get comfortable in our warm, inviting space. 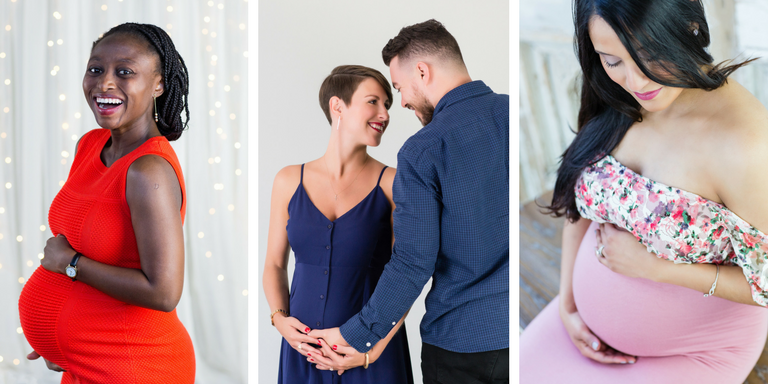 Experience a mini maternity photo session (takes about 5-10 min.) in our professional setting. Review your images immediately afterwards, and choose your favorite one as our gift to you! Receive a tour of our studio and newborn styling area, enjoy sweet treats and mocktails, and create a handmade gift for your little one. In about a week after the session, we’ll send you the retouched image to share with friends + family.